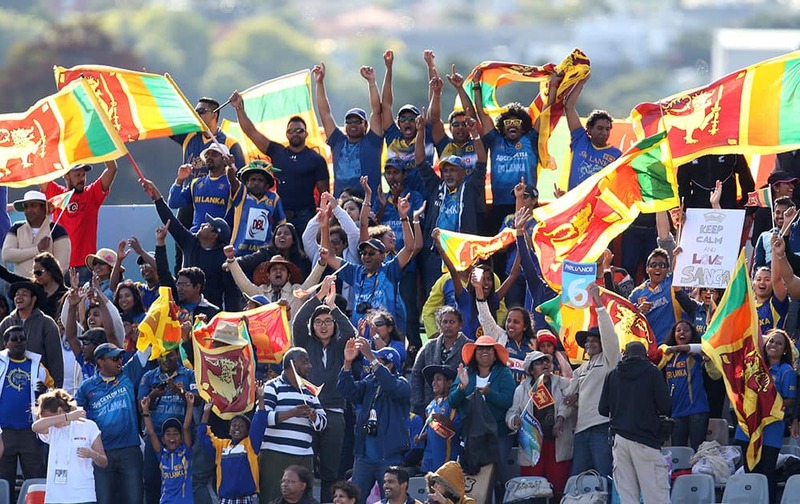 Sri Lankan fans cheer their team on during their Cricket World Cup win over Afghanistan in Dunedin, New Zealand. Sri Lanka's Mahela Jayawardena, left, is congratulated by teammate Jeewan Mendis after scoring century during their Cricket World Cup match against Afghanistan in Dunedin, New Zealand. 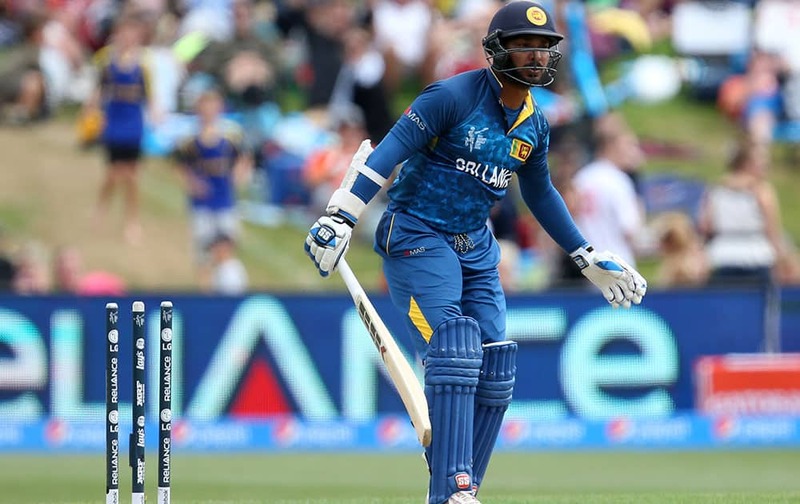 Sri Lanka's Mahela Jayawardena watches as he hits the ball to the boundary during their Cricket World Cup match against Afghanistan in Dunedin, New Zealand. 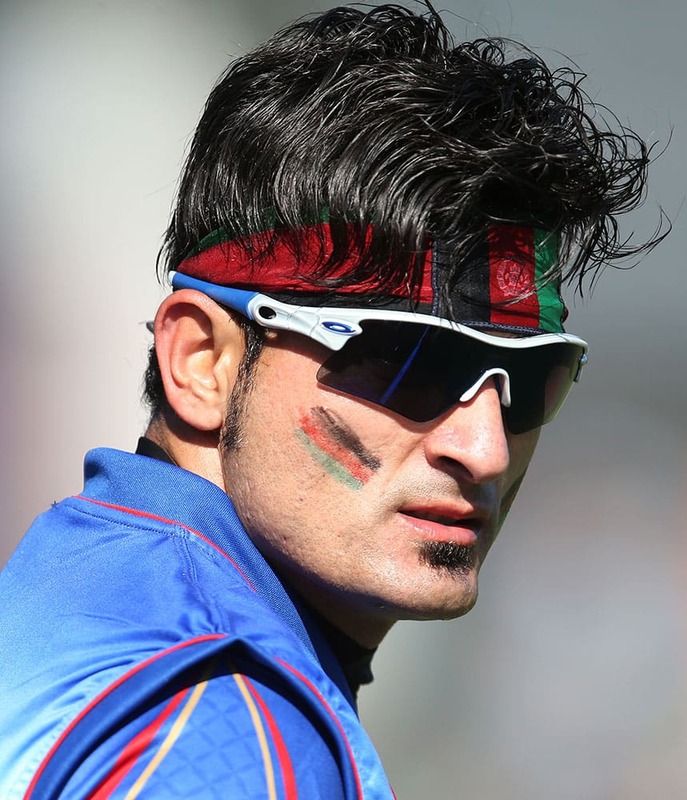 Afghanistan’s Hamid Hassan watches play during their Cricket World Cup match against Sri Lanka in Dunedin, New Zealand. Sri Lanka's Mahela Jayawardena dives to make his ground as Afghanistan’s Samiullah Shenwari attempts to catch the ball during their Cricket World Cup match in Dunedin, New Zealand. 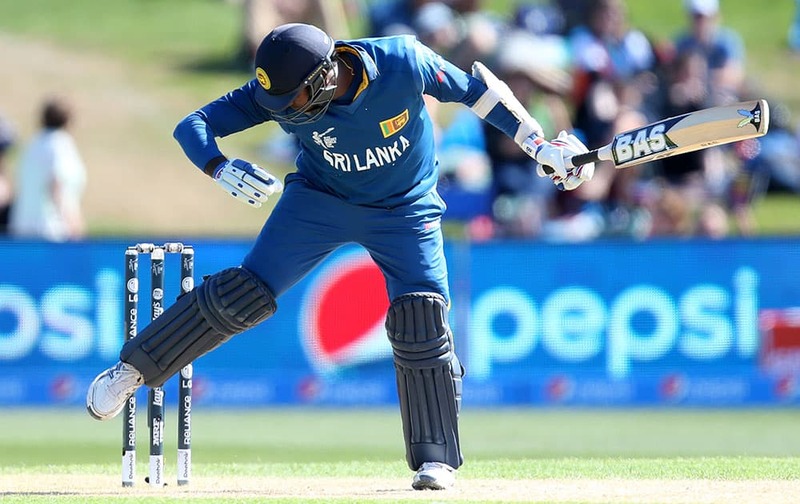 Sri Lankan batsman Kumar Sangakkara reacts after he was bowled by Afghanistan’s Hamid Hassan for seven runs during their Cricket World Cup match in Dunedin, New Zealand. Afghanistan’s Hamid Hassan, right, is congratulated by his teammates after dismissing Sri Lanka's Kumar Sangakkara during their Cricket World Cup match in Dunedin, New Zealand. 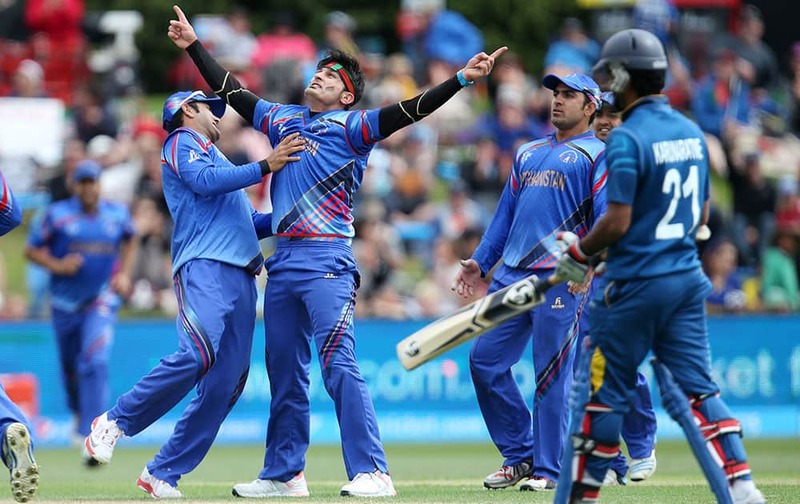 Afghanistan’s Hamid Hassan, second left, celebrates after dismissing Sri Lankan batsman Kumar Sangakkara, not pictured, during their Cricket World Cup match in Dunedin, New Zealand. Sri Lanka's Lasith Malinga, second left, is congratulated by teammates after taking the final wicket to dismiss Afghanistan’s during their Cricket World Cup match in Dunedin, New Zealand. 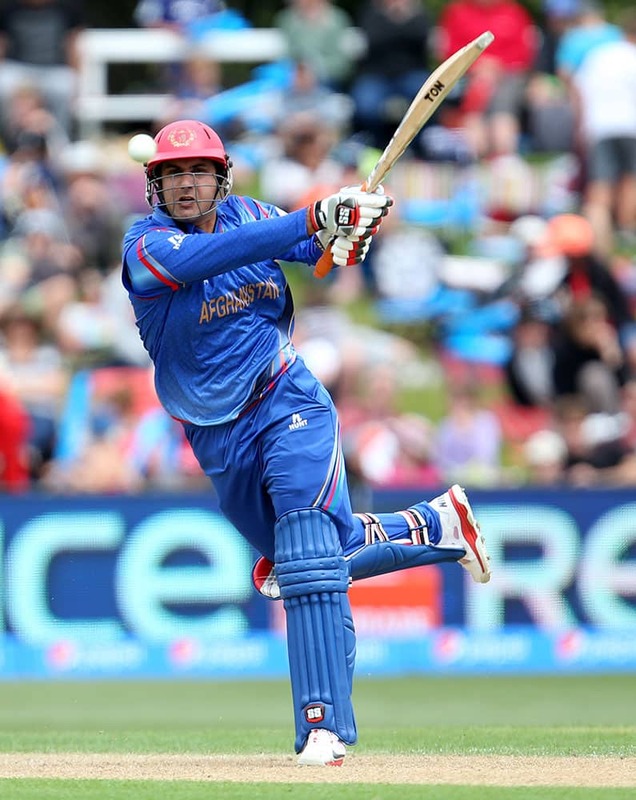 Afghanistan’s Dawlat Zadran is bowled during their Cricket World Cup match against Sri Lanka in Dunedin, New Zealand. 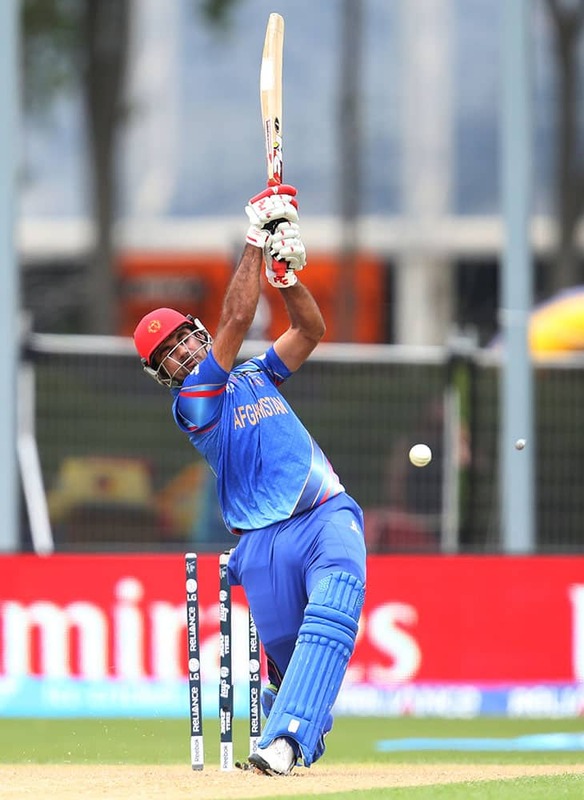 Afghanistan’s Mohammad Nabi hits the ball during their Cricket World Cup match against Sri Lanka in Dunedin, New Zealand. Afghanistan’s Asghar Stanikzai waves his bat to the crowd after reaching 50 runs during their Cricket World Cup match against Sri Lanka in Dunedin, New Zealand.